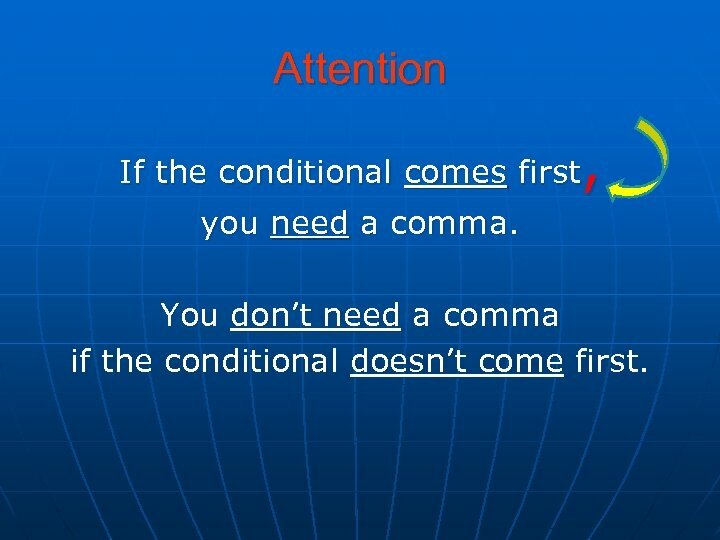 Attention , If the conditional comes first you need a comma. 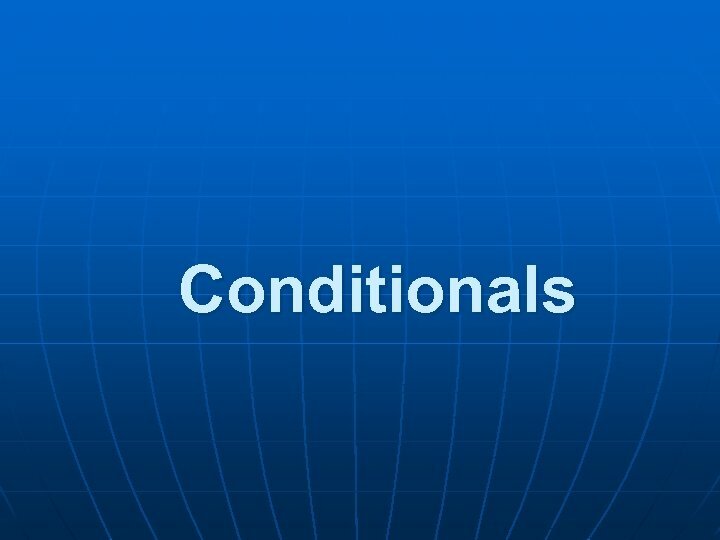 You don’t need a comma if the conditional doesn’t come first. 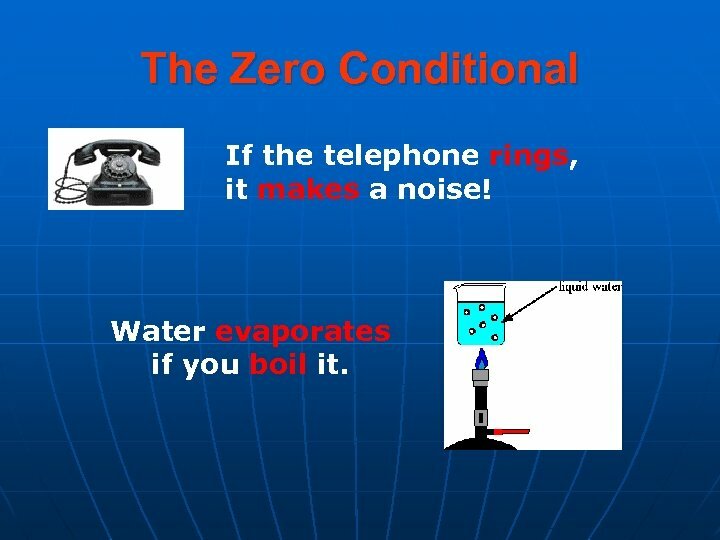 The Zero Conditional If the telephone rings, it makes a noise! Water evaporates if you boil it. 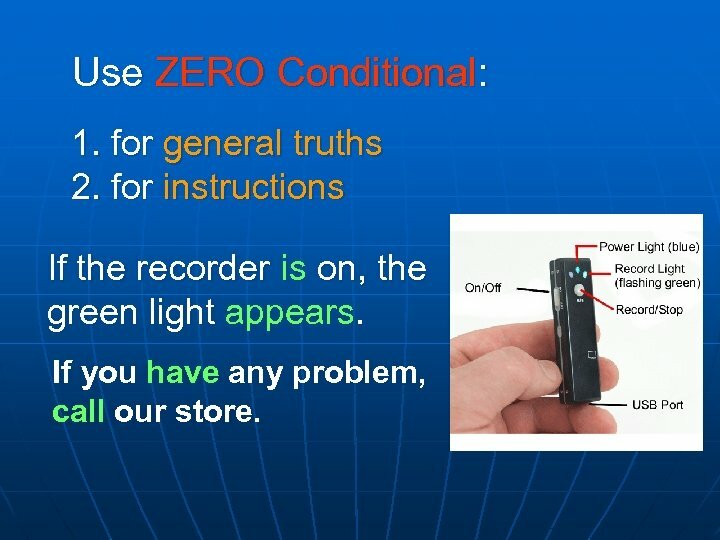 Use ZERO Conditional: 1. for general truths 2. for instructions If the recorder is on, the green light appears. If you have any problem, call our store. 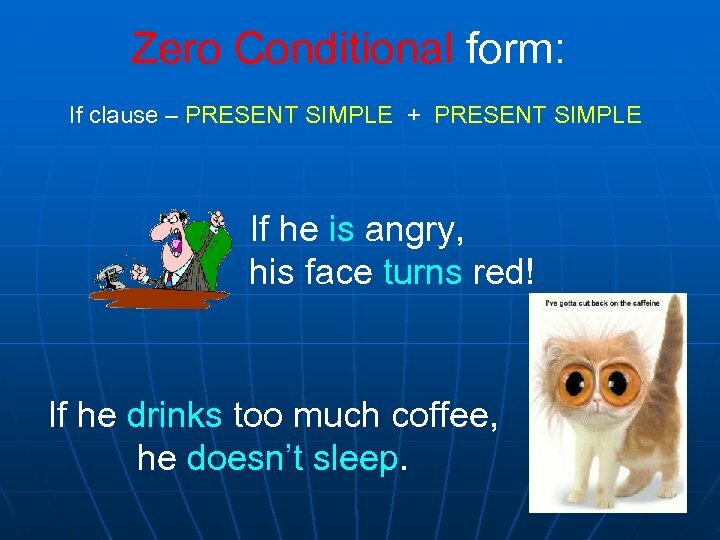 Zero Conditional form: If clause – PRESENT SIMPLE + PRESENT SIMPLE If he is angry, his face turns red! If he drinks too much coffee, he doesn’t sleep. 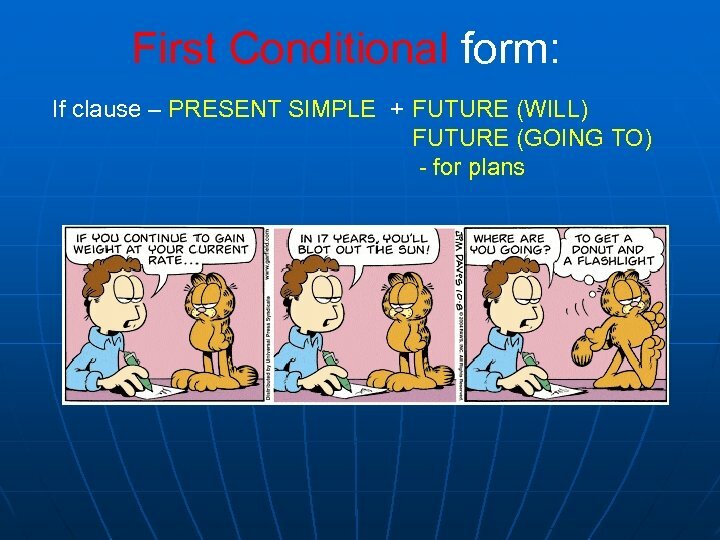 Use First Conditional: To refer to the future. 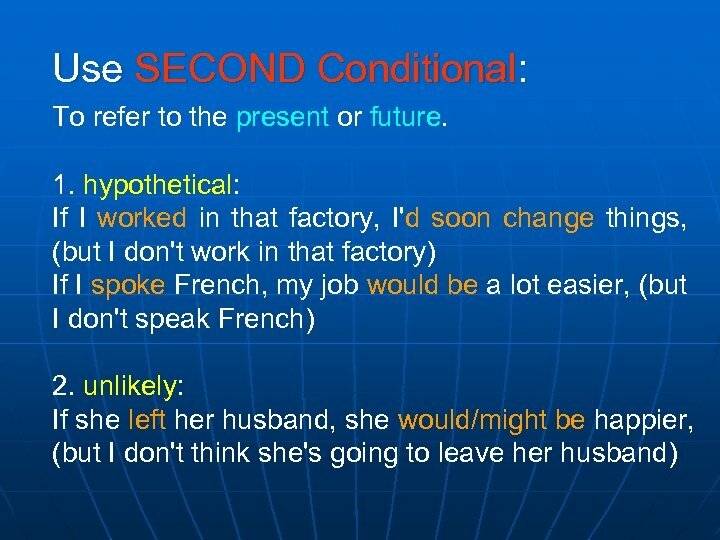 It is used when there is a possibility that the if -event might happen. It’s a PROBABLE/POSSIBLE condition. 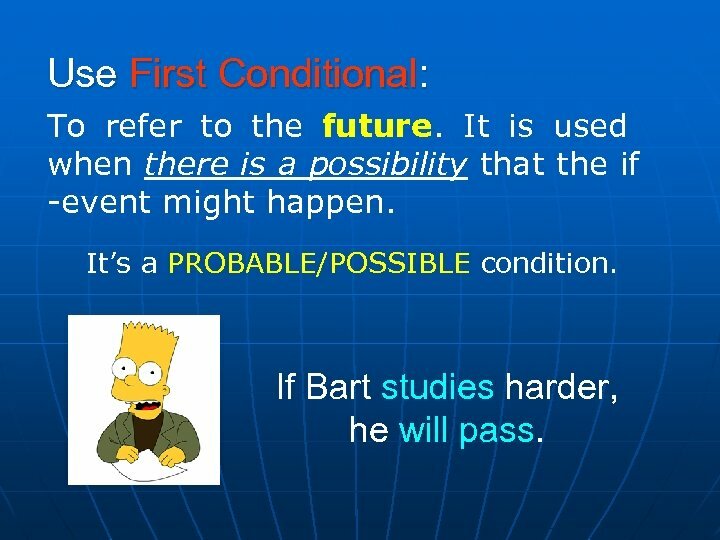 If Bart studies harder, he will pass. 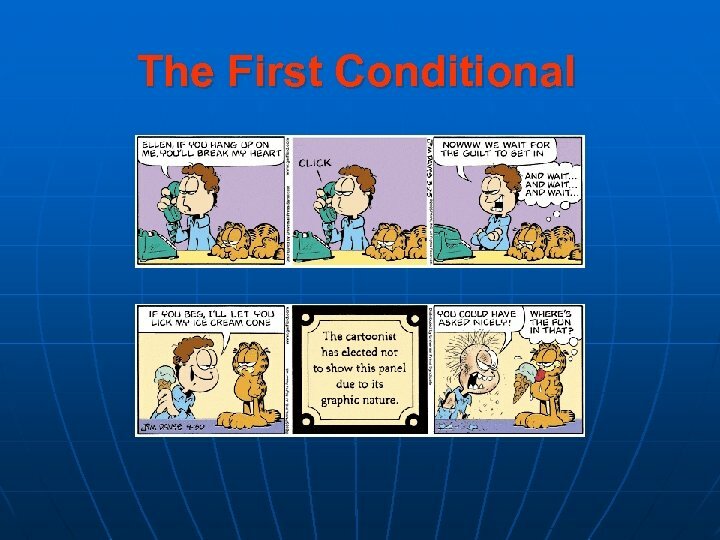 The Second Conditional Garfield doesn’t know what would be fun. 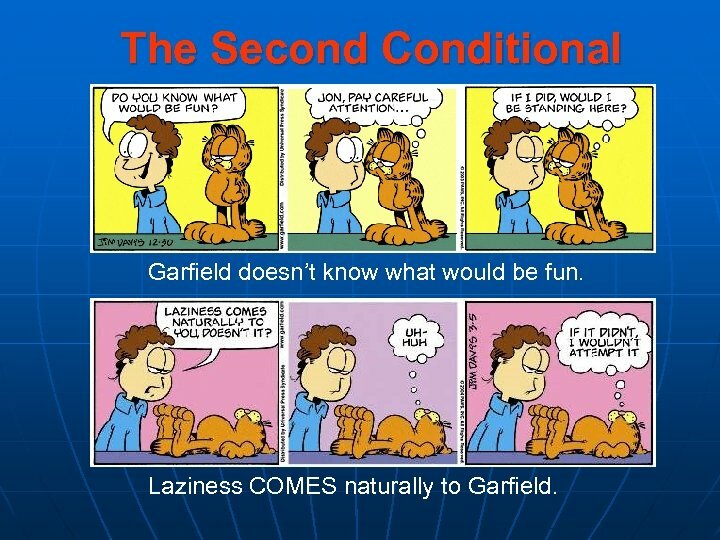 Laziness COMES naturally to Garfield. 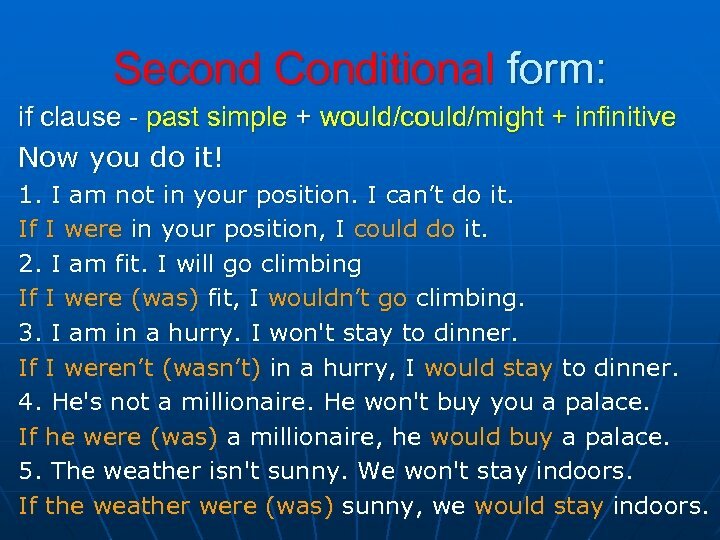 Second Conditional form: if clause - past simple + would/could/might + infinitive Now you do it! 1. I am not in your position. 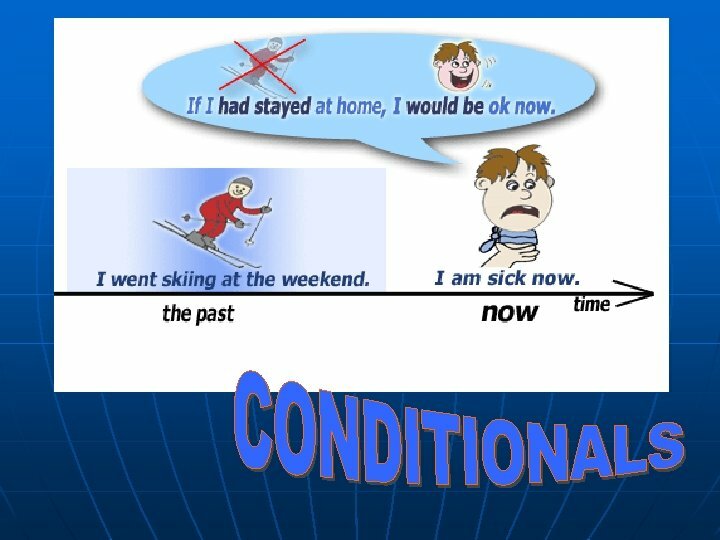 I can’t do it. If I were in your position, I could do it. 2. I am fit. I will go climbing If I were (was) fit, I wouldn’t go climbing. 3. I am in a hurry. I won't stay to dinner. If I weren’t (wasn’t) in a hurry, I would stay to dinner. 4. He's not a millionaire. He won't buy you a palace. If he were (was) a millionaire, he would buy a palace. 5. The weather isn't sunny. We won't stay indoors. If the weather were (was) sunny, we would stay indoors. Let’s have another productive lesson today!